You need an editor. I can help. Writing is hard, and nobody's perfect. Even the most creative and careful writers need help from time to time. That's what I do: Whatever you're writing, whatever it's for, whoever will read it, I can help you make it better. I've spent my life immersed in creating, curating, and connecting people to excellent written content. Even before I could write myself, I dictated dozens of stories to my dutifully transcribing parents. In both high school and college, I received awards for being the top graduate focusing in English. I hold an M.A. in English from Baylor University, where I studied Medieval and Early Modern British Literature, and even managed to hammer out about half of a Ph.D. before I decided to shift my focus to editorial work. I've written for a variety of publications, including popular Christian magazines like Christ and Pop Culture, Leadership Journal, and Christianity Today, as well as academic journals like Explicator, Notes & Queries, and Arthuriana. Over the last eight years, I have also helped hundreds of writers improve their work in both formal and informal educational and editorial settings. I currently serve as an associate editor for Christ and Pop Culture, a contributing editor for Christianity Today, the facilitating editor for Truth For Life with Alistair Begg, and a jack-of-most-trades freelancer in a variety of print and web content environments. In short: I know words, I love writing, and I have a proven ability to help others write better. As an editor, I help writers make ideas available through true, good, and beautiful writing. I'm a writer myself, but more than anything, I like helping others write. I want to provide you with the feedback, resources, knowledge, and support that you need to write whatever it is that you want or need to write. In his novel The Once and Future King, T.H. White writes that "the business of the philosopher [is] to make ideas available." Philosopher or not, I want to help you make your ideas available to readers by ensuring that they are expressed clearly and compellingly. I believe that these three qualities (traditionally called the three "transcendentals") characterize the best ideas, writing, and culture that humankind has produced. I want to help you make your writing tell the truth, accomplish good, and do so beautifully. Below is a list of some of the services that I offer. My rates vary depending on the length, complexity, and nature of each project, but they're always competitive. If you don't see what you're looking for here, or if you have further questions, please feel free to contact me with details about your project, and we'll work together to meet your editorial needs. You've got a great idea, maybe a draft, but you need help shaping it? I can help you brainstorm, organize, and plan your content so that it's clear and compelling. Your ideas are in place, but are they coming across well? I can help you answer that question by bringing clarity, concision, precision, and fluidity to your prose. If you have trouble with comma splices, sentence fragments, and dangling modifiers (or if you don't know what those things are), I'm here to help. Let's perfect that grammar. If you have a complete manuscript that you want made error-free, send it my way. I'll make sure it's in pristine shape before it heads to publication. Whether working with APA or MLA, Chicago or Turabian, almost nobody likes formatting documents. I do. Let me help you meet your style-guide requirements. If you're applying for a job, your résumé is probably going to make your first impression for you. Will it be a strong one? Together, you and I can make sure it is. Do you have to write an essay for your college application? I can give you detailed feedback for improving its style and content to increase your chances of acceptance. Whether you're a student, an aspiring writer, or a nine-to-fiver with a writing project, I'll chat one-on-one with you about your work and how you can enhance it. If what you need is really a combination of any of the above, we can wrap your desired services together — all for a discounted price! "I've been writing professionally for almost two decades and have worked with numerous editors at a variety of publications. I can say, without exaggeration, that Adam is one of the best editors I've encountered. What makes Adam good is his incisive tweaks that take mediocre writing and call it up to its best possibilities. It's difficult, at this stage, to find folks willing and able to edit and edit well. Adam is one of these few." "My pieces are always better after Adam edits them. He creates better quality work while somehow still maintaining the spirit of my thoughts and prose." "I am so glad that I contacted Adam for his copy editing services in the final stages of my dissertation. Adam worked with me to figure out the level of editing I needed, was incredibly clear about his process, and provided helpful feedback that has made my writing stronger. His encouraging words and enthusiasm throughout the copy editing process also gave me a much-needed confidence boost at the end of my dissertation. I look forward to working with Adam again in the very near future." — Catrin Watts, University of Texas at Austin. Successfully defended her doctoral dissertation on March 30, 2018. "Adam knows how to help my writing hit its sweet spot. With other editors I often think, 'Eh, I don't know about that.' But with Adam I'm almost always convinced his corrections are not merely right but also instructive. Best of all, he doesn't make me feel like an idiot." "Adam is our go-to guy for all of our editing needs. 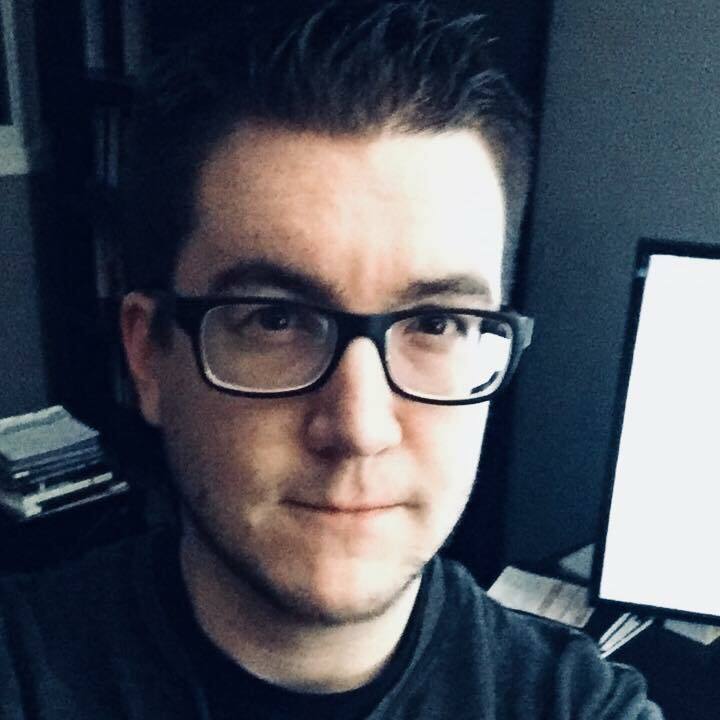 Whether it is proofreading an article or giving developmental and conceptual feedback on a book going to publication, we trust Adam for an efficient and timely critique. His consideration and care for each piece we commission is obvious. With competitive prices, Adam has always been dependable and fair in his estimates. We are grateful for his work and anticipate a long relationship to come!" — Geoffrey Reiter, assistant professor of English at the Baptist College of Florida and associate editor for Christ and Pop Culture. "It's nice writing for an editor whom I can trust to keep pushing until the best piece is there, rather than just a publishable piece (there's a difference)." "Adam was such a help to me during my dissertation process. I am a strong writer and really debated spending the additional money to hire an editor—but I am so glad I did! When you are so deeply submerged in a topic, an outside perspective is vital. Adam helped me not only identify grammatical and structural errors that I became blind to, but also offered fresh perspectives and suggestions that helped me convey my ideas. Thanks to Adam, my dissertation required only minor corrections from my entire committee! He is prompt, and his rates are reasonable. In addition to all the 'typical' praise one might expect for an editor, I felt as though Adam truly cared about my work. Dissertation writing is a long, lonely process, but working with Adam made me feel like I had a companion on the journey. He is even cited in my acknowledgements!" — Amanda Duvall Lammers, Vice President of Student Services at Brenau Univeristy. Successfully defended her doctoral dissertation, Cullman's Colleges: A History of Higher Education in Rural Alabama, on March 3, 2017. "Adam is, like, the most gracious editor ever." "Adam is the most scholarly person I know, which made him the obvious choice when I needed someone to proofread and edit my college essay. The essay that he looked over was not typical—there was no word limit, and it was unusually long. Adam not only finished his editing promptly, but was also very thorough. One thing that I really loved about Adam’s feedback is that he not only corrected my mistakes, but also gave me tips on how to improve my writing in the future. Through the care and meticulous attention Adam gave my paper, it was obvious that he was passionate about assisting me in producing my best work possible. I would recommend him to any fellow college applicants without hesitation."